And so it was I reported to 67th Regiment RA at Park Hall Camp, Oswestry, Salop, on 4th October 1951 where I was allotted to Group No. 51.19 and given my army number 22597046. The next fortnight was spent doing basic drills on the parade square, “spit and polish” and generally being shouted at. 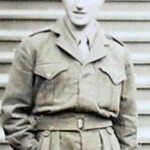 I found that by keeping a low profile, I did not attract the NCO’s attention. It was here that the group commenced receiving a series of injections, some of which made you feel quite groggy. The army, thoughtful as ever, gave these on a Friday so that we could recover lying on our beds in our own time! After reporting back to Woolwich I boarded HMT Empire Fowey at Southampton Docks and embarked for Korea under Draft DBDFA on 8th July 1952 for the most momentous period of my service. Our on-board accommodation was below decks and very basic, although fixed bunks were preferable to the hammocks on some troopships. One was very aware of a “them and us” situation, with restrictions as to where other ranks could go. Things improved when we passed Gibraltar and into warmer climes, when sleeping on deck was possible. A fellow surveyor RA and I were allocated to the ship’s quartermaster (P&O) with responsibility to hand out stores in the morning and book them back in during the afternoon. As the majority were infantry, this mostly consisted of .303 Enfield rifles, with ammunition, and Bren guns. The former were used to fire at targets from the stern of the ship, while the Bren’s seemed to be continually stripped and reassembled! 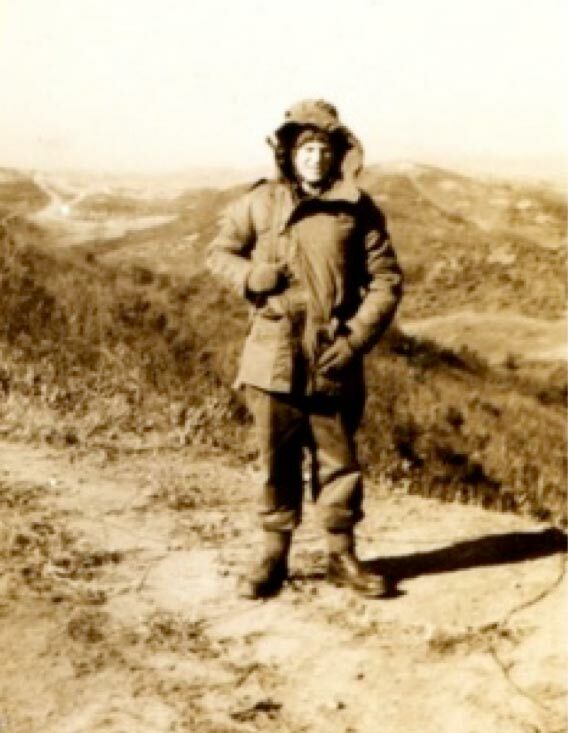 15th Divisional Locating Battery to which I was posted had come to Korea from Hong Kong in December 1950 and having no parent Survey Regiment in the British Korean Command was attached (for “pay and rations”) to 61st Light Regiment, RA, and that comprised three Batteries of 4.2” mortars. These mortars were ideal for lobbing shells over steep hills. From Kure I went to Pusan (now Busan) by a local coaster, complete with barbed wire to protect the bridge area from pirates! 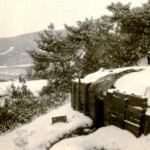 Pusan was crowded with temporary shelters constructed with wooden crates and plastic sheeting and the like together with the few belongings the multitude of Korean refugees had fleeing from the Chinese. They were in a sorry state. Next I was dispatched to Seoul and that by the time of my arrival South Korea’s capital had changed hands several times, with total demolition of much apart from the damaged and more substantial buildings. Our overnight accommodation was on camp beds in a part of the damaged university building. Little did I know that this would be my last comfortable night for quite some time. Sound Ranging in short, is a method employed to locate enemy guns by means of calculating the distance sound (the firing of a gun or mortar) travels from four microphones located in known positions and then plotting cross bearings on a map to establish from where the enemy fire came. And so enable counter bombardment fire at it. There was a Command Centre and an Advance Post. The command centres function was to use the information derived from microphones and surveyors situated forward to determine and plot enemy artillery positions. Close in targets would be attended to with 61st Light Regiment 4.2” mortars. More distant targets would be passed to the 25 pounders or US 155mm “Persuaders” howitzers. Very occasionally, the duty officer would be contacted to see whether we had a target suitable for aerial attack! Winter was atrocious with temperatures as low as minus 30 degrees. I can recall observing a convoy of laden US trucks driving across the frozen Imjin River right next to the US engineers constructed temporary bridge. 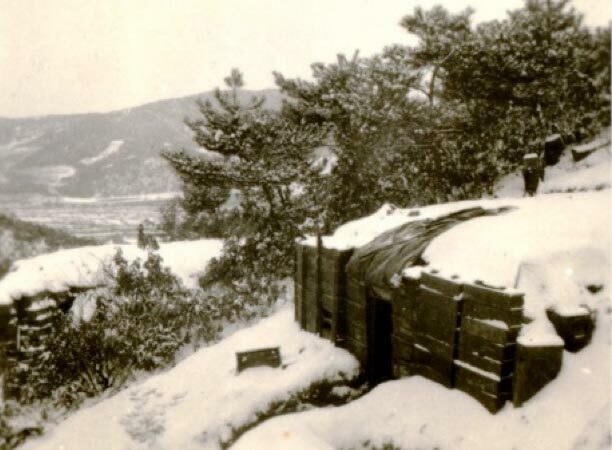 We lived in bunkers (sometimes called hoochies) which were dug into the slope facing away from where enemy shells or mortar bombs would do most damage. To provide heat in our hoochies we had REME (Royal Electrical & Mechanical Engineers) constructed heaters. These were made up from an old ammunition shell steel box with angle iron legs and gravity fed from a petrol jerry can located on the roof which made life just bearable. Each bunker had two pairs of double deck beds constructed with angle iron and combat telephone wire to form a mesh on which to place your sleeping bag. Our living bunker walls were of earth with the ceiling (!) constructed of 25 pounder shell metal cases filled with earth. Above that the roof (!!) consisted of tree trunks, earth, rocks and our ponchos pinned down. During winter the 15cwt truck we had located at base had to be started at regular intervals even with its antifreeze, as did the Centurion tanks in the line. A chorehorse (petrol driven battery charger) operated on an almost continuous basis back at camp. Two troop commanders I served under warrant special comment. 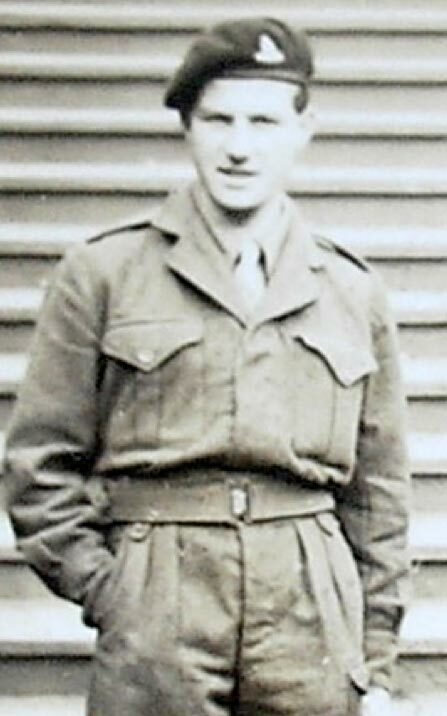 Captain Peter Childs and was awarded the Military Cross, and Captain John Stevenson of the Royal Australian Artillery who was highly respected being a qualified army surveyor as well as being a good leader. 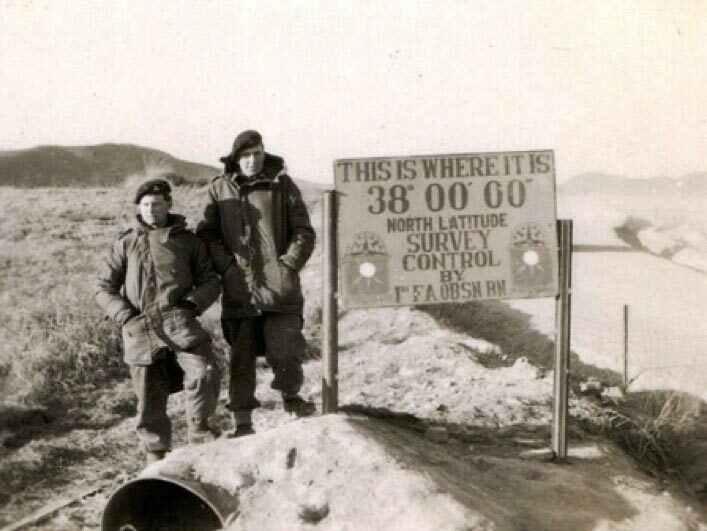 The track between our base camp and the rear of Hill 355 was in direct view from the Chinese lines, so a series of tall posts had been installed either side of the track to enable large camouflage nets to be suspended at regular intervals. This allowed essential daytime use, although a low speed was necessary to prevent dust rising, which would lead to a mortar round or two incoming. Because of the high regard I had for this leader, I managed to track down quite a history using Google. [Major General John Dennis Stevenson AO, CBE (Retd) died on 30th July 2008, at the age of 83 years. Early in his career he had studied at the School of Artillery at Larkhill, Wiltshire]. 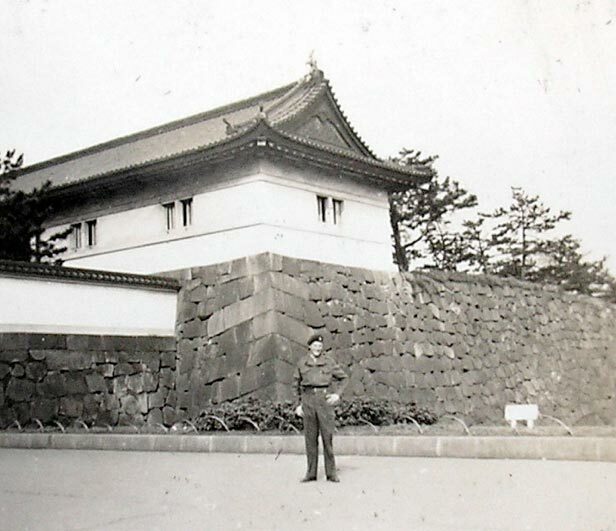 I can remember my 5 days R & R leave to Tokyo over Christmas 1952. 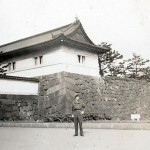 Flights to Japan were controlled by the US at Kimpo Air Base, near Seoul. We flew by US Globemaster strapped with our backs to the fuselage. You could look down to see the lower deck which was enormous and used for transporting tanks and other heavy equipment. A similar aircraft had crashed in the United States when we were in Japan, so all Globemasters were grounded, except those on active service! During my outward flight I had an excellent view of Mount Fuji, which pleased me a lot. (Mount Fuji is Japan’s highest mountain at 3,776 metres and is worshipped as sacred. It is an active volcano which most recently erupted in 1708). Whilst in Tokyo, I attended a traditional Kabuki theatre performance, and had an obligatory photograph taken outside the Imperial Palace! The return flight was uneventful I am pleased to say! Thankfully the time arrived to depart Korea and those leaving were transferred from Pusan to Kure, where HMT Asturias was docked and ready for our return voyage to the UK. So we spent more time In Kure and were billeted in a transit camp and to keep us occupied a bus took us to the local beach with a packed lunch. The WVS also organised a coach trip for us to visit Hiroshima. Unlike recent campaigns and peace keeping duties, little was made of men returning from one of the most ferocious wars of recent times. 1,139 British military personnel were killed, of which, 79 were members of the Royal Regiment of Artillery. It has been estimated that total enemy casualties exceeded 1,500,000 of which 900,000 were Chinese. 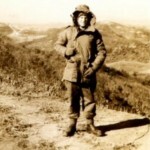 Further that around 3,500.00 and 4 million Korean civilians perished. With the Chinese and North Korean Governments not recognising the terms of the Geneva Convention, it meant that many atrocities were committed, especially in the early days when captured UN combatants were marched north to primitive camps near the Chinese border. 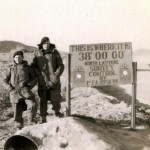 World War II had only relatively recently ceased, and that, plus Korea being an “incident” at the other end of the world, left the Allied populations sapped of energy with which to take more than a glancing interest. Being called up for two years of National Service, 1951-53, was not exactly what I was looking for, at my then tender age. I prefer, now at my advanced age, to consider the many plusses it brought to my life. It made me fully appreciate the quality and love associated with my life at home with my family and friends. Being strictly disciplined at an early age and learning to live and mix with other youngsters has its value. The ability to learn a trade (Survey in my case) and meet up with others who seem also to appreciate the things you do, thus forming good friendships. I cannot admit volunteering for Korea, but now with hindsight and coming through unscathed (unlike so many other young conscripts) I can look back on experiences I would never have thought possible.